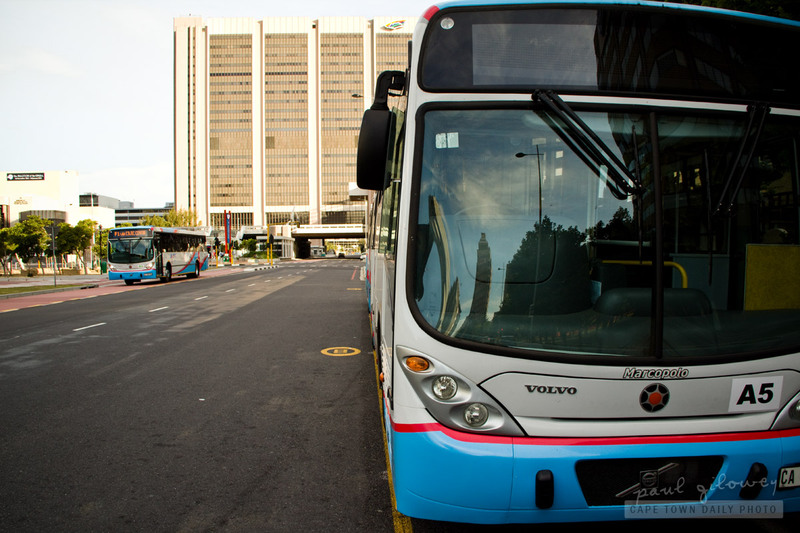 The My CiTi buses leave from Cape Town's Civic Centre Station (map) heading for the airport at 04h20 each morning and continue to do so every 20 minutes until 21h20 in the evening. Trips from the Cape Town International Airport station (map) start at 05h10 in the morning with the last departing for the city at 22h00. While kids below the age of 4 travel free of charge the 2011 fare for adults is R53 and R25.50 for kids up to the age of 11. Note that the site's menu system is broken and currently doesn't work in Chrome - but fortunately does in Firefox and probably most other browsers. Posted in General and tagged busses on Sunday, 13 November, 2011 by Paul.